It’s so beautiful! I think a lot of your style wenn I create my own home and garden. I will send you some pictures sometimes. How’s life? Johanna and I saw eight other last saterday on a market. We talked about our wonderful time in Londen. Good memories. Send my greetings to your sons. 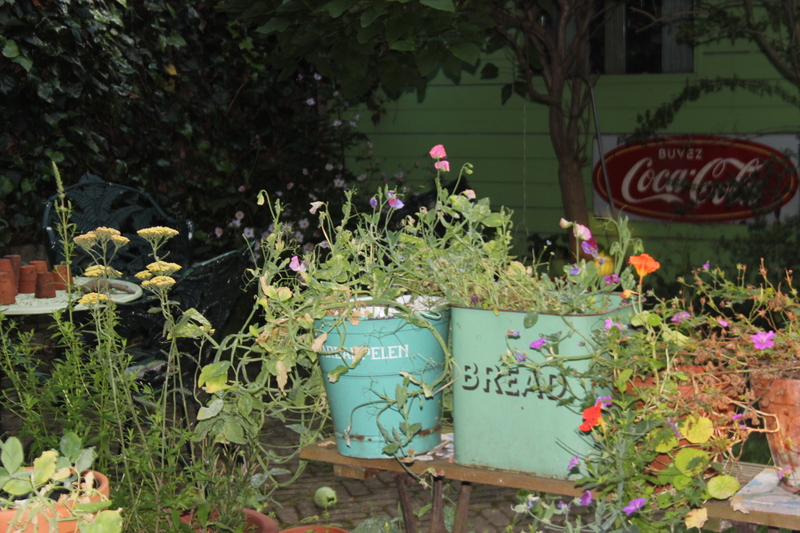 Love that bread bin, they are useful things! A friend and I are going to start a little going concern selling beautiful things that have uses, bread bins filled with flowers are on the list!! !